We’re a family-friendly club that offers motivation, relaxation, and social interaction as part of a fit and healthy lifestyle. Granite Falls offers multiple levels of instruction to help swimmers 3 to 12 years old develop and refine their skills. 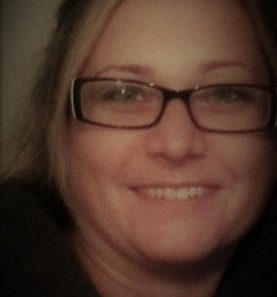 Explore personal training options and find a personal trainer that is right for you. Day camps for kids enrolled in traditional and year-round schools. Our camps are focused on fitness, fun, and friends. 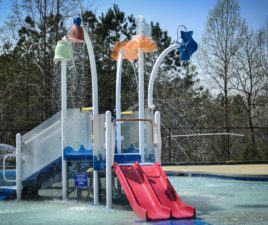 Northern Wake County’s Premier Year-Round Swim and Athletic Club. We’re a family-friendly facility that offers motivation, relaxation, and social interaction as part of a fit lifestyle. Come join us for fitness and fun! New Gym Equipment Has Arrived! We are excited to announce that your new equipment on the gym floor has arrived! We will be holding free orientations for members who are interested in learning about the new equipment. 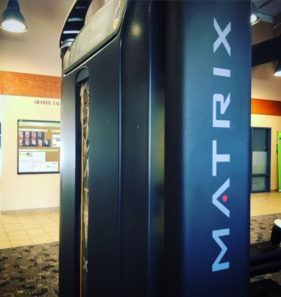 A knowledgeable Personal Trainer will walk you through the in’s and out’s of our brand new Matrix selectorized gym equipment. See below for more info.